I’ve worn many hats throughout my life, and without hesitation I tell you Evil exists, it’s real, and most of the time in this world, you will be the only person capable of defending yourself. Shaving—that time honored tradition of holding an extremely sharp instrument to your head when you’re still half asleep. I started loosing my hair at a young age and by 30, I declared my hairstyle to be “bald is beautiful.” As such, I’ve bought a few razors overs the years and I can get into a shaving discussion with the best of gents. It’s Earth Day 2016 and my beautiful, smoking hot wife loves bears. On her behalf, I encourage everyone to do a little more to help keep our planet alive and sustainable for the creatures providing my wife so much joy. If you don’t know me… my name is Fred, and I’m a Kamailian. Kamailians are users of Kamailio— an open source SIP server capable of building large scale Voice platforms. It’s a great product, and in a different post I discuss why I love Kamailio. Today, I want to talk about TLS, Kamailio, and Lets Encrypt. Flowroute, a SIP service provider, recently enabled SMS on all of their phone numbers (DIDs). This means that if you have a DID from Flowroute, your phone number can now be used to send and receive SMS messages. I first learned about Flowroute at Astricon 2008 (Phoenix, AZ). At the time, I was working for a Residential VoIP carrier and we were always looking for new service providers. 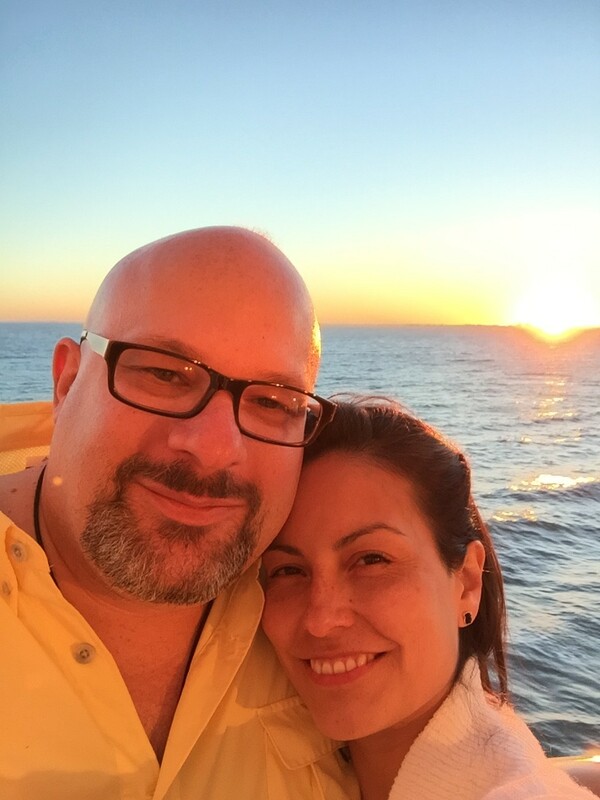 Sunset with my better half on the ocean. Good times. Living in Florida allows you to enjoy great beaches, beautiful weather, interesting news, and incredible discounts to Disney World. The discounts make sense— we residents become “ambassadors” to the park and generally buy food, drink, and gifts during our visits. Yeni and I purchase an annual pass each year. We meet family at the parks, hang out with friends, and enjoy days and events for just the two of us. Before Yeni and I visited the parks together, I’d go with my godkids, cousins, family, and friends. I’ve discussed why I love Kamailio many times on this site — and the Kamailio community remains a strong reason for my love of the project. Alex Balashov, a VoIP Engineer and member of the Kamailio project, is a VoIP expert and his knowledge of Kamailio, SIP, and telecommunication is without question. He also happens to be the fastest typist I’ve ever seen (seriously, it’s almost distracting). I was honored to have been chosen as a speaker during Astricon 2015. Thanks to the miracle of modern, digital technology you can now see my presentation online from the comfort of your own chair.